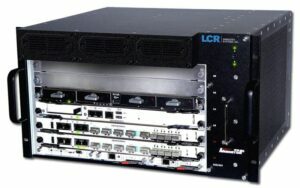 LCR Embedded Systems is a leading designer and manufacturer of enclosures, backplanes, and fully integrated processing systems for aerospace and defense applications. Our lightweight, rugged solutions are ideal for the space-constrained requirements of unmanned aerial vehicles (UAVs) and other autonomous vehicles. We also specialize in systems for ground control stations (GCS) that provide data processing and communications for unmanned vehicles and robotics. In addition to creating off-the-shelf products, we also have a wide range of experience in developing custom solutions. Our engineering team can work with you to turn any design or set of requirements into a fully-fledged unmanned systems product. Please watch the videos below to learn more about our expertise in topics including fiber-based design for embedded systems and managing the broad I/O options for the popular VPX form factor. 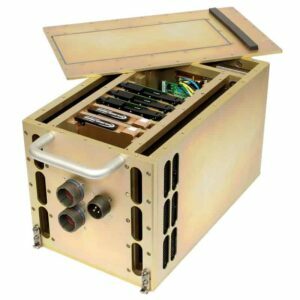 Our fully integrated, conduction-cooled 2-Slot VPX System is specifically designed for SWaP-conscious applications such as unmanned aerial vehicles (UAVs), weighing in at less than 8lbs and measuring 3.70”x6.75”x8.84”. Featuring an ADLINK VPX3010 processor based on the Intel Xeon D, the VPX System’s second slot can hold either a Gigabit Ethernet switch or an ADLINK VPX3G10 Graphics Processing Unit. We can develop custom VPX System configurations for all your data gathering and sensor processing requirements – please get in touch to find out more. Input power compliant to MIL-STD-704/MIL-STD-1275. Weighing in at a SWaP-friendly 7.5lb, designed specifically for demanding field applications, and featuring COM Express technology, our fully integrated, forced convection cooled, customizable, featherweight COM Express Single Board Computer System breaks new ground for demanding applications that require lightweight, rugged, compact compute and storage such as harvesting and streaming sensor and video data in the field. Customizable I/O to meet your application requirements. The 6-Slot rugged AdvancedTCA enclosure is a rack-mountable chassis for military use. Designed in accordance with PICMG 3.0 Rev3, and featuring a variety of power options, this chassis is sturdy, efficient, and ready to support your most environmentally demanding mission-critical military applications such as UAV ground and mobile base stations. Highly configurable and customizable for your specific program needs. 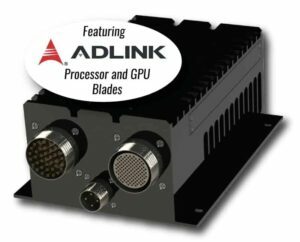 The 3U VPX ATR Integrated System provides a highly customizable compute- and Ethernet-based solution offering reduced weight and superior cooling, ideal for small form factor needs such as tracked vehicles and aircraft. The assembly ships with a 5-Slot VPX backplane that meets all VITA requirements and is ready out of the box for 3U VPX applications. Core i7 processor blades with 8GB of DDR3 memory provide the bulk of the processing power for high-performance, low-power processing. Power is provided by two 28 VDC, 400W power supplies. The system is cooled via 25C ambient convection-over-conduction cooling, providing up to 100W of heat dissipation per slot, and the sealed exterior and lightweight all-aluminum construction make the 3U VPX ATR rugged enough for the harshest computing environments. Thermally controlled fans maintain low noise profile. The RPCS-001 provides a highly portable and customizable computing system in a hardened enclosure that is ready for your most demanding applications and punishing environments. Designed for rapid deployment and featuring internal electronics (CPU, memory, I/O, peripherals) that can be easily preconfigured and modified, the entire system is contained in an airline carry-on sized roller case with a telescoping handle for superior convenience and mobility – ideal for portable, highly mob ile UAV base stations. By submitting this form, you consent for your details to be sent to LCR Embedded Systems and its authorized partners in order to respond to your inquiry. Depending on the location of the organization, your personal information may be transferred and processed outside of the European Economic Area.